Air Nozzle A1010 BGA 9x9mm are specialistic nozzle for hot air stations such as NET/Ayoue/GET/PS and others. Click for more information and scheme of noozle. Air Nozzle A1124 Single 2.5mm are specialistic nozzle for hot air stations such as NET/Ayoue/GET/PS and others. Click for more information and scheme of noozle. Air Nozzle A1125 QFP 10x10mm are specialistic nozzle for hot air stations such as NET/Ayoue/GET/PS and others. Click for more information and scheme of noozle. Air Nozzle A1126 QFP 14x14mm are specialistic nozzle for hot air stations such as NET/Ayoue/GET/PS and others. Click for more information and scheme of noozle. Air Nozzle A1127 QFP 17.5x17.5mm are specialistic nozzle for hot air stations such as NET/Ayoue/GET/PS and others. Click for more information and scheme of noozle. Air Nozzle A1128 QFP 14x20mm are specialistic nozzle for hot air stations such as NET/Ayoue/GET/PS and others. Click for more information and scheme of noozle. Air Nozzle A1129 QFP 28x28mm are specialistic nozzle for hot air stations such as NET/Ayoue/GET/PS and others. Click for more information and scheme of noozle. 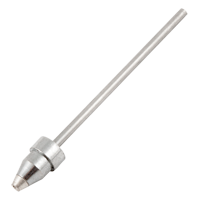 Air Nozzle A1130 Single 4.4mm are specialistic nozzle for hot air stations such as NET/Ayoue/GET/PS and others. Click for more information and scheme of noozle. Air Nozzle A1131 SOP 4.4x10mm are specialistic nozzle for hot air stations such as NET/Ayoue/GET/PS and others. Click for more information and scheme of noozle. Air Nozzle A1132 SOP 5.6x13mm are specialistic nozzle for hot air stations such as NET/Ayoue/GET/PS and others. Click for more information and scheme of noozle. Air Nozzle A1133 SOP 7.5x15mm are specialistic nozzle for hot air stations such as NET/Ayoue/GET/PS and others. Click for more information and scheme of noozle. Air Nozzle A1134 SOP 7.5x1.8mm are specialistic nozzle for hot air stations such as NET/Ayoue/GET/PS and others. Click for more information and scheme of noozle. Air Nozzle A1135 PLCC 17.5x17.5mm are specialistic nozzle for hot air stations such as NET/Ayoue/GET/PS and others. Click for more information and scheme of noozle.